Redevelopment of a brownfield site off Wilton Way, creating a secluded, mixed-use mews of three houses and a small office building. 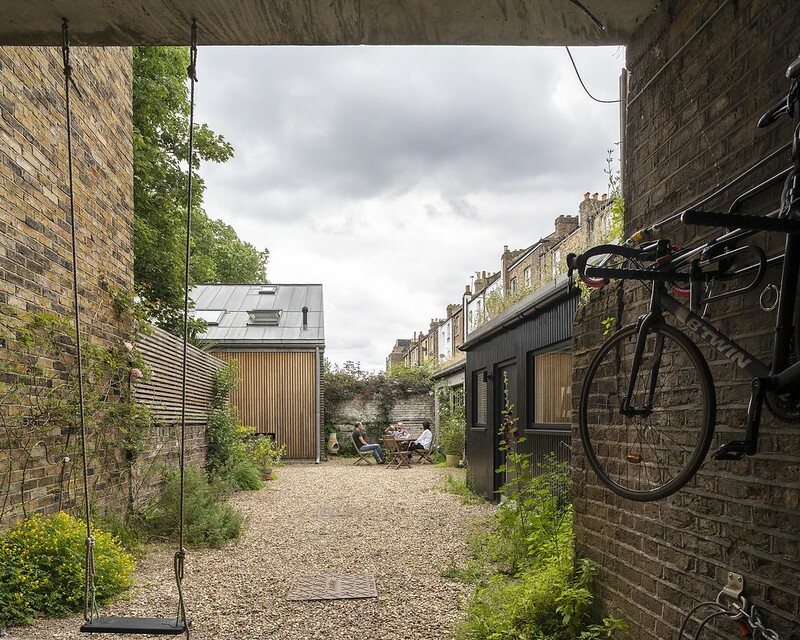 Pitwell Mews is a secluded, mixed-use mews off Wilton Way, consisting of 3 houses and a small office building. A brownfield site has been redeveloped to create a small community of people living, working or living and working here. The houses are new-built replacing a former printing warehouse. The office is a refurbished pre-existing building. The site was developed by Anna Schabel and Jochen Driessle and designed by their architecture firm Wilton Studio. They live and work at Pitwell Mews. A sense of community, sustainability and joyful living were the main criteria in the development of the project.